Looking for some good reading to share and talk about with others? 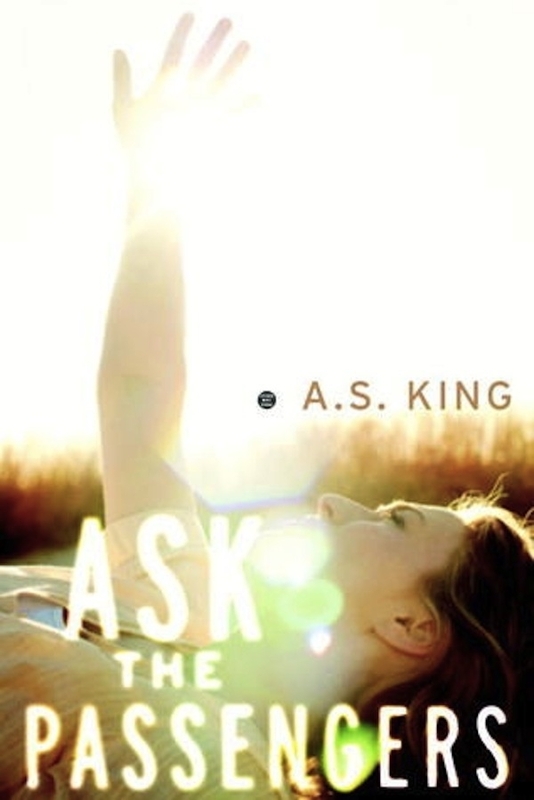 Read Ask the Passengers, a work of Young Adult fiction by acclaimed writer A..S. King. She'll be visiting Fordham the week of October 2, 2017 as the Mary Higgins Clark Chair to give a reading and lead workshops. Professors Stacey D'Erasmo and Glenn Hendler are leading a loose, open, summer-long book group with this book on Blackboard, and we'd love for you to join in. If you're an English major, you're already enrolled in the "Ask the Passengers Book Group." Just log in to Blackboard, click on "Organizations," and you'll see the name of the group. If you're not an English major (or if somehow we've missed you), you can join the discussion by going to http://bit.ly/2017FordhamEnglishBookGroup. You'll need a fordham.edu e-mail address to join in. Talk. Go to the discussion board and you can either respond to one of the questions there or start a discussion thread of your own. Write. Go to "Letters to Passengers" and you can join the novel's main character, Astrid Jones, by writing something to anonymous passengers in airplanes (or the subway or bus or in cars on the highway....it won't make sense until you've started reading the book, but then you'll see what we mean). Read. Click on "interesting stuff" and read some of the web links and documents posted there. We'll keep adding more over the course of the summer. And you can suggest items to be added, too! Also: invite your friends to join the group (even if they're not English majors)! Anyone with a fordham.edu e-mail address can join the discussion by going to http://bit.ly/2017FordhamEnglishBookGroup. You can also go in to Blackboard to adjust your notifications so that you get e-mails whenever others post...or so you don't. Celebrated author Mary Higgins Clark, a Fordham alum, recently endowed a visiting professorship in creative writing, the Mary Higgins Clark Chair, which will bring to campus a distinguished writer who will do a public reading as well as lead workshops, seminars, and master classes. To honor Mary Higgins Clark's storied career as a writer of genre fiction, the English department is inviting writers who work in popular genres as our first Clark chairs. So, A.S. King will be visiting Fordham the week of October 2, 2017, as this year's Mary Higgins Clark Chair. A.S. King has been called “One of the best Y.A. writers working today” by the New York Times Book Review. King is the author of highly-acclaimed novels including her 2016 release Still Life with Tornado, 2015’s surrealist I Crawl Through It, Glory O'Brien's History of the Future, Reality Boy, the 2012 Los Angeles Times Book Prize winner Ask the Passengers, Everybody Sees the Ants, 2011 Michael L. Printz Honor Book Please Ignore Vera Dietz among others. She is a faculty member of the Writing for Children and Young Adults MFA program at Vermont College of Fine Arts and spends many months of the year traveling the country speaking to high school students. After fifteen years living self-sufficiently and teaching literacy to adults in Ireland, she now lives in Pennsylvania.